The deal hasn’t officially closed, but in all likelihood it will soon be possible for the driver of an Uber car to park in a bike lane and endanger the rider of an Uber bike. Reports came down in the tech press today that Uber is acquiring Jump. The announcement wasn’t a huge surprise–last week TechCrunch reported that Jump Mobility, purveyor of those bright-red, GPS-based, dockless, electric-assist rental bikes, might be sold to Uber for $100 million. And Uber started offering Jump bikes on its app last month as a pilot, so it was clear that something was in the works. Welcome to the family @JumpMobility! One step closer to our vision of bringing together multiple modes of transportation within the Uber app. 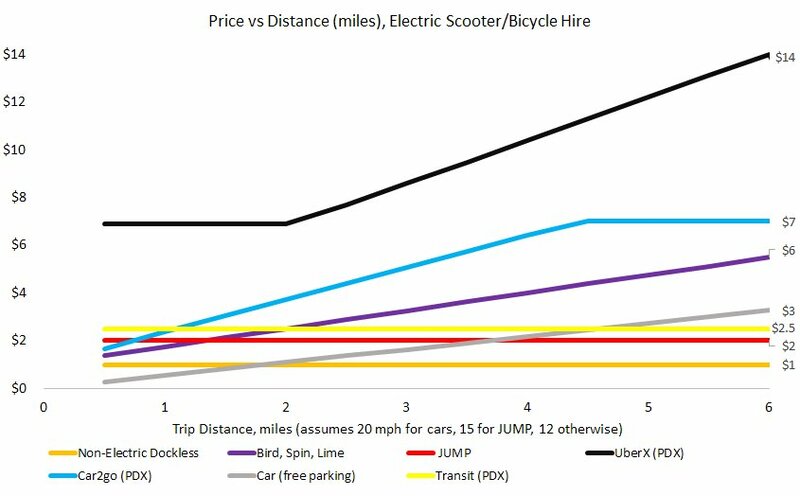 “Uber’s purchase of Jump demonstrates that bike-share can be big business,” wrote Chris Cassidy, spokesman for the San Francisco Bicycle Coalition, in an email to Streetsblog. Jump got its permit to start operating in San Francisco at the start of this year and showed strong trip and rental numbers shortly thereafter. It’s ironic that Uber, the frequent nemesis of cyclists and street-safety advocates, is about to become a bike company. San Francisco Police data shows that a massively disproportionate share of traffic violations, including blocking and driving in bike lanes, are committed by Ubers and Lyfts. Data collected by volunteers showed similar results. Advocates, including the SFBC, have tried to work with Uber to improve its safety record, but so far without much success. “Perhaps now that biking is officially part of the brand, Uber will finally make strides to improve safety on SF’s streets for people who bike,” wrote Cassidy. We’ll see how that translates on the streets. But considering that Ford (a car company) sponsors the Bay Area’s official bike share system, and now an online taxi-company is its main competition, it seems as if anything can happen in today’s mobility business. What do you think about Uber acquiring Jump? Post below. Ha that’s a great point, that Uber may finally tell its drivers to shape up. In general, I’d rather have billion dollar companies in my corner than not.